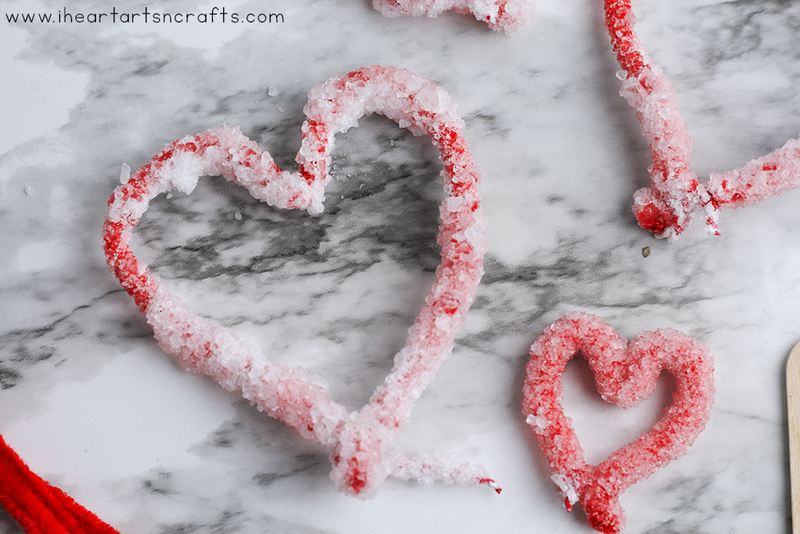 Make these growing crystal hearts for Valentine’s Day using just a few supplies! 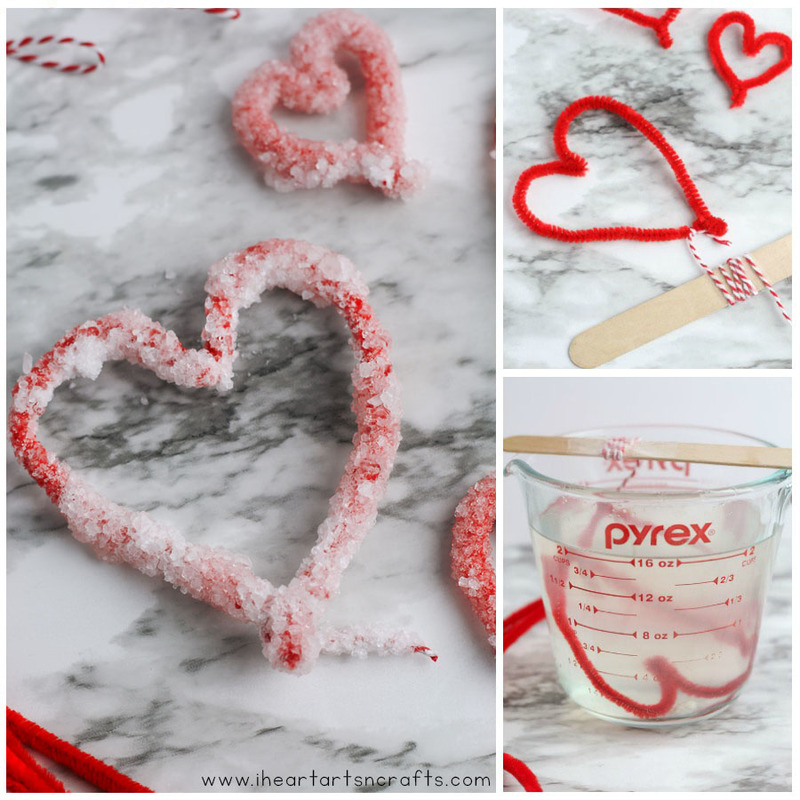 The kids will love this easy Crystal Heart Science Experiment that they can do right at home. Shape each pipe cleaner into a heart shape. For smaller hearts, cut a pipe cleaner in half and shape into a heart. 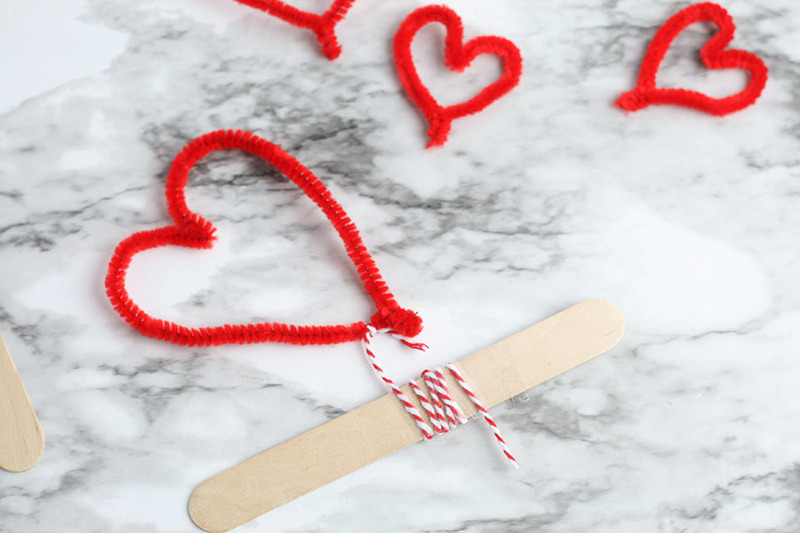 Tie a string to the bottom of each heart and secure the heart on a dowel or craft stick. Pour boiling water into a large cup. 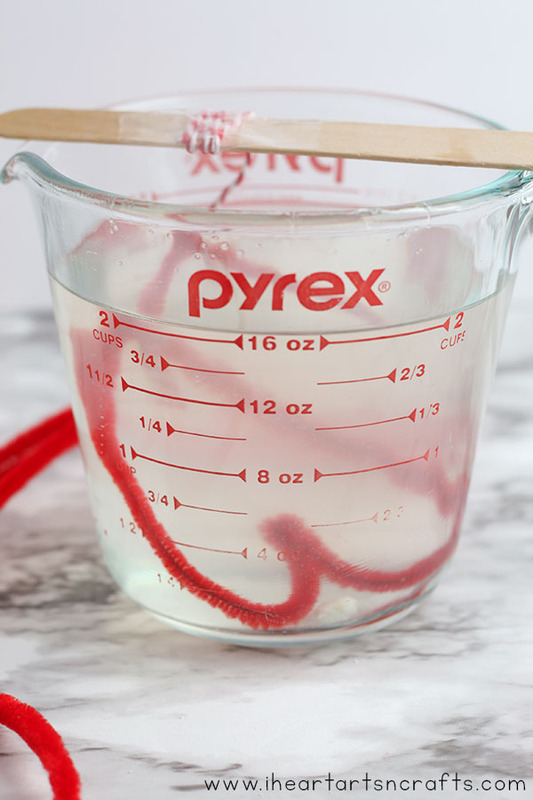 Add Borax one tablespoon at a time, stirring between each addition. 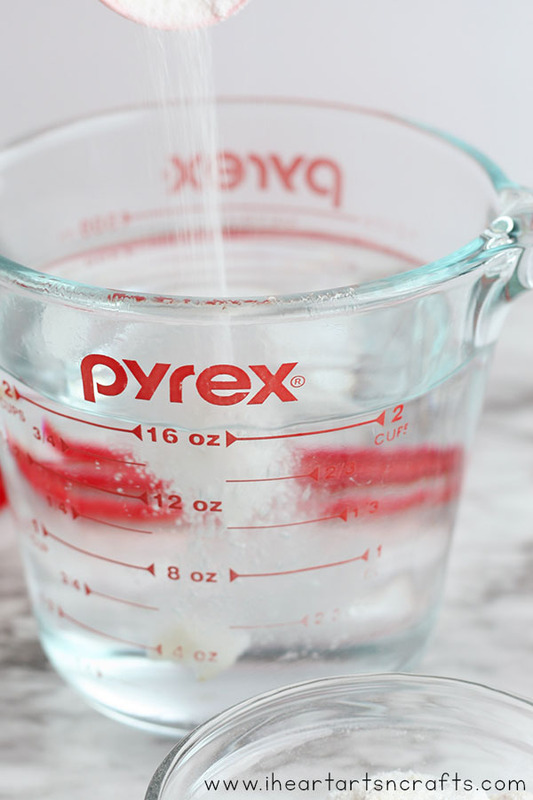 Keep adding Borax until the water stops dissolving it. 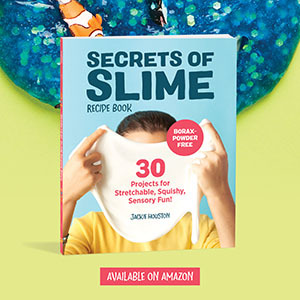 You should see a small pile of Borax at the bottom of your cup after stirring. Place the pipe cleaner hearts into the water mixture, resting the craft stick on top of the cup. 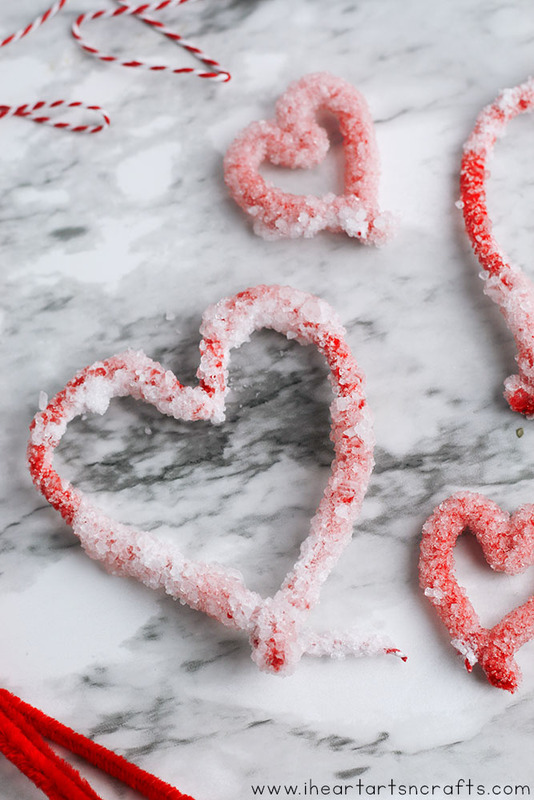 Be sure to keep the hearts from touching the bottom and sides of the cup and each other, because they will stick together as the crystals form. Place the cups in a place that will not be disturbed and let them sit overnight. Remove the pipe cleaners from the water the next day to see the crystals that formed on each heart. The Science: Hot water is able to hold more Borax than cold water because heated water molecules move farther apart. This extra space allows the Borax crystals to dissolve in the hot water. As the water cools, the water molecules move closer together again, which causes the larger crystals to form on the pipe cleaner and along the sides of the cup. 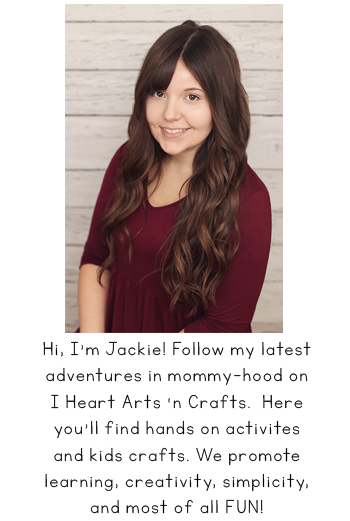 Trick: The Borax water solution can be used over again. Just pour the water and the crystals inside the glass into a pan and bring the water to a boil again. The crystals will dissolve into the water and you can place new shapes in the solution.